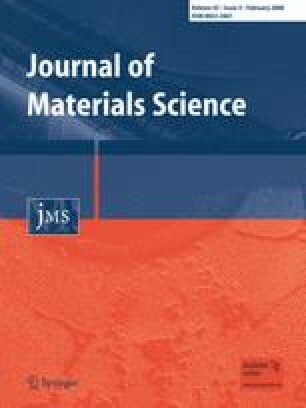 Paper–paraffin composites were prepared by an interfacial polymerisation reaction on the paper surface and its function of thermal energy storage was studied. Filter paper impregnated with O/W emulsion, which was composed of ethylenediamine, NaOH and paraffin microcapsules prepared by methyl methacrylate polymer (PMMA), was left in a beaker containing a cyclohexane solution of terephthaloyl chloride. The paraffin could fix on the treated paper surface and the encapsulation of the paraffin before the interfacial polymerisation reaction on the paper surface was effective in the preparation of paper with the function of heat storage. This work has been supported in part by a Grant-in-Aid for Cooperation of Innovative Technology and Advanced Research in Evolutional Area (CITY AREA), and Young Scientists (B) from the Ministry of Education, Science and Culture, Japan.